MInt-06L-SX is a high quality USB hand phone with 4-polyphonic ring tones and LCD display of Date and Skype Contacts. Its fashionable appearance, easy-to-use design and euphonious melody will set you apart from others. Just plug it into your PC or laptop, and then you can enjoy the full features of SkypeTM. • Monochrome 128*64 pixel LCD. LCD display of any kind of language. • LCD display of Skype contacts and time. • LCD display of any kind of language. • “Up and Down” key to scroll up/Down Skype contacts that are displayed in the LCD screen of the phone. 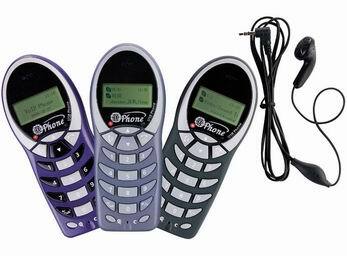 • Fully functional keypad and LCD display of Skype contacts enables you to make/receive calls solely relying on your USB phone. • Seamless integration with SkypeTM and QQ. • Also compatible with many other PC-based softphone applications, such as MSN, Yahoo Message, Xten, Dialpad, MediaRing, Net2phone, etc. • Internet connection (ADSL, Cable Modem, Dial-Up, Wireless LAN).